If you have a medical website or blog, then you need Google Analytics. Why? Because the only way to improve your medical SEO—and therefore your traffic, click rate, and conversion rate—is to know how your content performs. How much traffic does each page of my site generate? What content resonates most with my audience? How well does my website convert leads? Which marketing efforts drive the most traffic? Google Analytics gives you a free, robust, accurate tool to monitor key metrics for your website including traffic and conversions. But just how do you narrow down your data to the most important metrics and mine useful information from them? Identify website objectives. What do you want your website to do? Common objectives include generating leads, converting leads to patients, capturing email list signups, increasing patient engagement with your practice, and improving patient satisfaction. Choose measurable objectives that indicate visitor behavior on your site. Choose KPIs to track performance. Your next step is to decide which metrics, or KPIs, will accurately measure the ability of your website to meet your objectives. For example, if you want to convert leads to patients, you could track that metric by monitoring how many people click on the “Schedule Your Appointment” button. If your objective is to build your email list, you could monitor the number of people who submit the email address form. 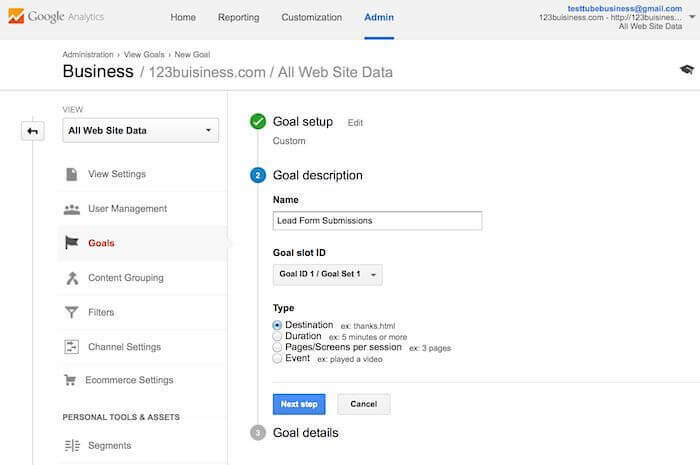 Set up goals in Google Analytics. Google Analytics allows you to set goals based on your KPIs so you can see when you have reached an performance milestone. Using goals, you can monitor revenue performance, visitor actions, downloads, transaction completions, and other important activity. Monitor KPIs. You can track KPIs like unique visitors, bounce rate, new sessions, and conversions from your analytics dashboard. These pieces of information will give you a fleshed out picture of how your website performs. You can customize your dashboard by adding widgets to track your KPIs. Dig Deep With Standard Reports. Google Analytics includes more than 50 reports that allow you to dig deep into your data. Within these reports, you can specify date ranges, export data, adjust criteria (such as traffic source), view data in charts or graphs, compare data sets, and much more. As you learn more about these reports, you’ll be able to fine-tune your metrics based on your website objectives. Quality Over Quantity. Remember, your goal is to find out which metrics will show you whether your website is doing what it’s supposed to do. That means you should choose the highest quality metrics rather than simply monitoring a large quantity of metrics. For example, many people think monitoring traffic is the best way to gauge the success of your website. And while traffic may be helpful, it doesn’t give you a true picture of performance. You’ll also need to know how many of those visitors bounced, whether they were qualified leads, and how long they stayed on your site in order to determine whether you’re successfully attracting the right audience. Now that you have a basic working knowledge of how to use Google Analytics to monitor your KPIs, let’s take a look at some specific metrics. 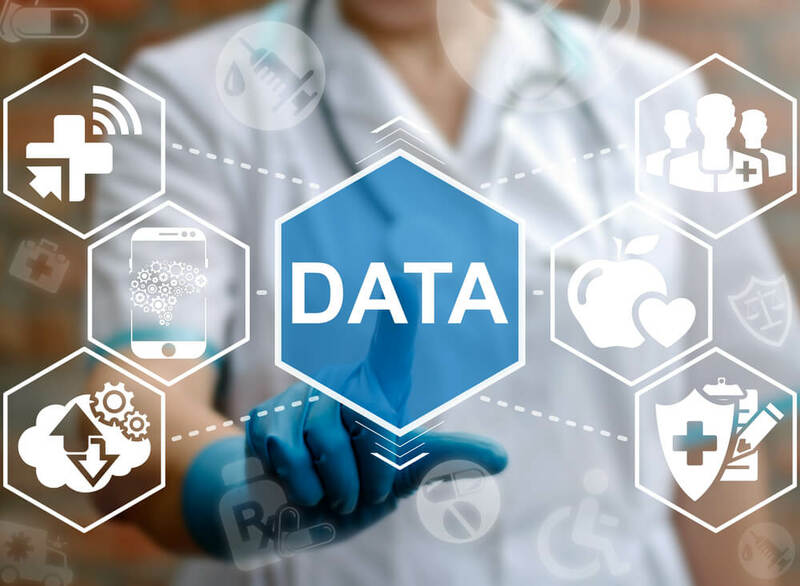 These pieces of information will show you how well your medical SEO strategy is performing and can also indicate whether you need a website redesign to improve the visitor experience. Traffic. Total traffic gives you a very broad view of performance. Use segments to hone in on specific information like where that traffic is coming from and which marketing efforts send you the most visitors. Bounce Rate. Bounce rate tells you how many visitors landed on your site and immediately left without clicking. It’s a good indicator of whether you’re attracting the right kind of visitors and whether your site is ranking for the correct keywords. You can also compare bounce rate to total traffic in your standard reports to see which pages need the most improvement. New Sessions. This metric measures first-time visitors to your site. It indicates whether your traffic consists of the same people over and over again or whether you’re reaching new people. Repeat Visits. 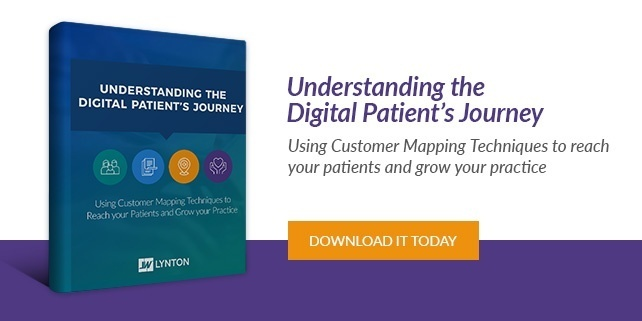 Repeat visitors show how well your site engages current patients and whether they use it as a trusted information resource. New sessions and repeat visitors together can indicate the quality of your traffic. Conversions. A conversion happens when a visitor takes a desired action on your site. It may be scheduling an appointment, downloading a resource, submitting an email form, or any other action that can be measured. Conversion rate indicates how well your site communicates the right message to the right people. 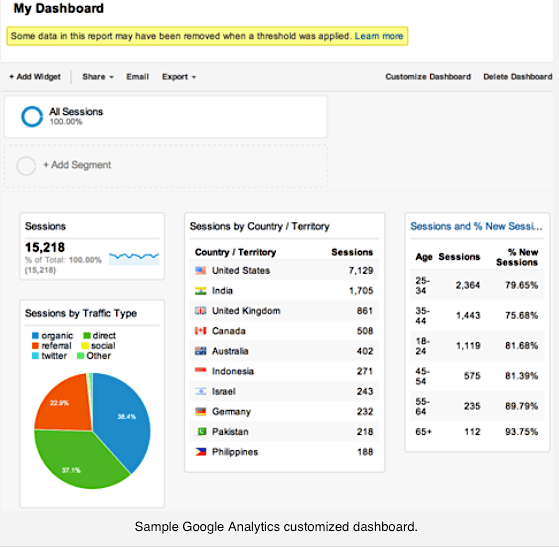 Of course, there are many, many more metrics you can track using Google Analytics. The ones you choose will be determined by your website objectives and goals. Need help setting up your website objectives or determining which metrics to track? Our healthcare marketing experts are standing by! Call us to set up your free consultation and take your medical SEO strategy to the next level.